Max has a rich history of powering outstanding media projects. Thierry Fournier's interactive installation « Sous-ensemble », created at Lille Renaissance Festival, uses Max to track visitors' presences and translates them into the tuning of a symphony orchestra, instrument by instrument. Software developed with Mathieu Chamagne. Surreal Machines are Matt Jackson, Pete Dowling and Alex Harker. 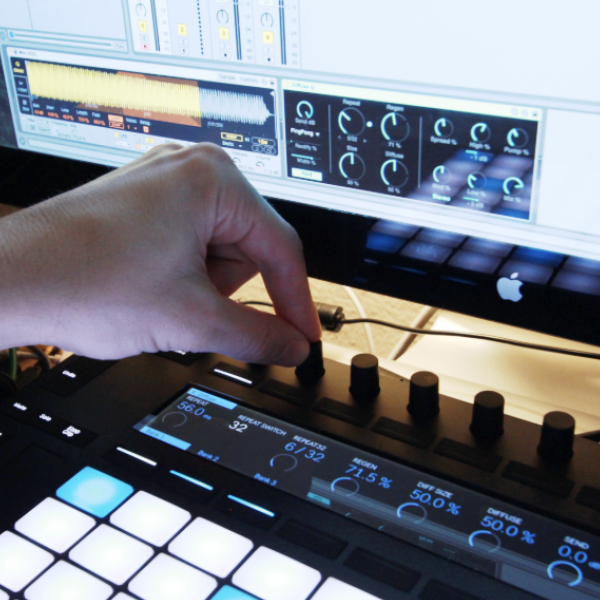 They are talented Max for Live device developers, and also work on Dub Machines as an Ableton Live pack. We use Max and Gen to prototype Audio and DSP ideas which find their way in to all aspects of our work. We have a Max For Live package in alpha/beta testing at the moment and hope to continue to build in Max and Live, as well as plugins and embedded systems in the future. Without Max For Live we would never have met or got started on our projects. Antye-Greie-Ripatti has been releasing experimental music and sound sculptures as "AGF" since the late 90's. 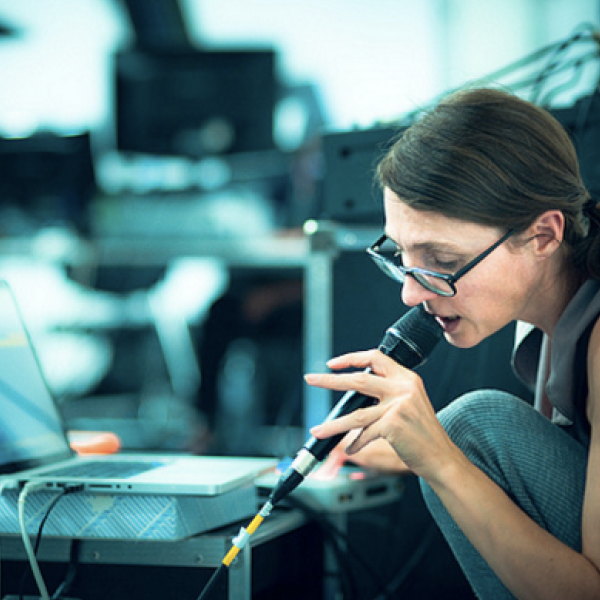 She's also active in female:pressure, a network of female artists dedicated to electronic music and digital arts. I use Max to create these densely layered lively ambiences, which probably has become characteristic of my work – it is always there somewhere… I also use Max for a lot of vocal processing – either singing directly into it or using it to process recorded vocals. 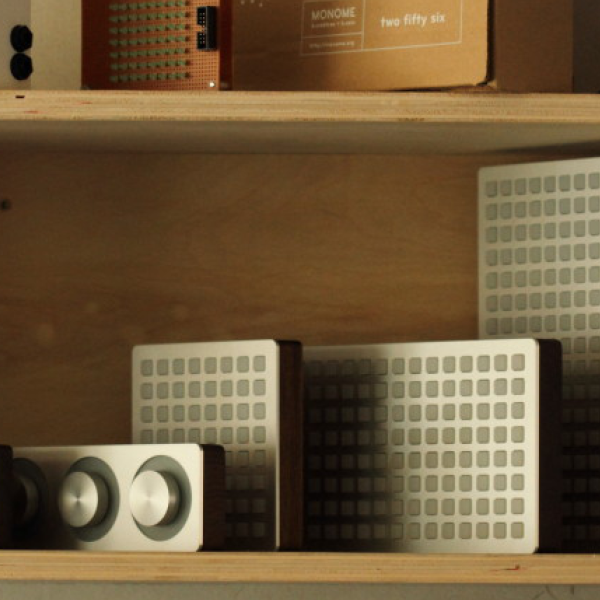 Brian Crabtree and Kelli Cain created their first Monome device more than 10 years ago. 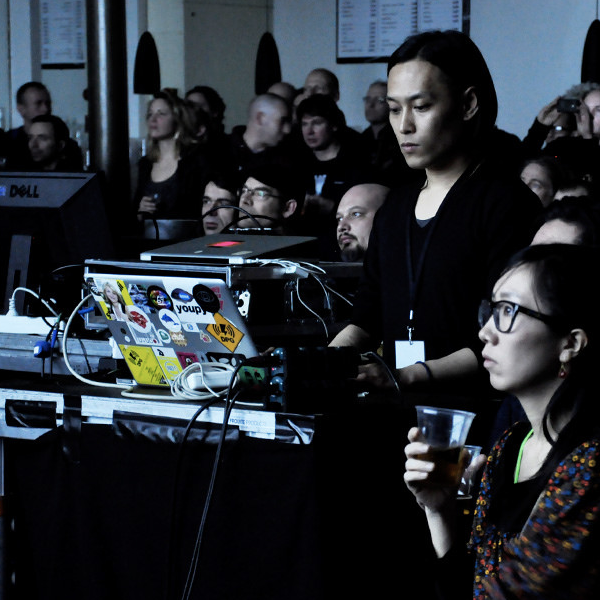 Today, their devices are still made with the same craft and care, and have become widely used by musicians and artists for various open-source projects. We've used Max for every step, from design, to prototyping, to proof-of-concept, to production. When we're testing the keypads, there's a specific Max patch I run to make sure everything is working correctly in the circuit. Yousuke Fuyama balances both aspects of his artistic practice and scientific research with Max. He holds a Master’s Degree in Media Science at Tokyo University of Technology Graduate School of Bionics, Computer and Media Sciences. For my live performances, I process Jitter visuals and synthesize sounds with several algorithms in real time. And for a research project done at the National University of Electro-Communication, we analyzed the human body's musculoskeletal movements by using cv.jit in Max, combined with ultrasonography. Countless examples everywhere you look.